Chuck Naiser has fished the coastal waters near Rockport for more than 50 years. His passion for his sport, and for the coastal resources he loves, has evolved into a fierce determination to make a difference for the next generation that will enjoy these waters long after he is gone. That’s why Chuck has been chosen as an ambassador for Texas Parks and Wildlife Foundation’s We Will Not Be Tamed campaign. The campaign encourages all Texans to get involved in conserving the wild things and wild places of our state. In recent years, Chuck has formed a new organization called Flatsworthy, which encourages mutual respect among the many recreational users of the coastal flats of Texas. Flatsworthy recently completed a service project at the Aransas National Wildlife Refuge. Thanks to volunteers, this project is helping to restore healthy marshland for fish and wildlife. Texas Parks and Wildlife Foundation supports projects that Chuck Naiser appreciates. Projects like the $1 million dollar artificial reef that has been placed just six miles from Port O’Connor. An artificial reef creates valuable marine habitat that attracts fish and other marine life, which in turn becomes a destination for anglers and divers. Projects like this one are supported by TPWF members around the state. You can join and help support conservation projects that benefit the lands, waters, wildlife and people of our state for future generations. 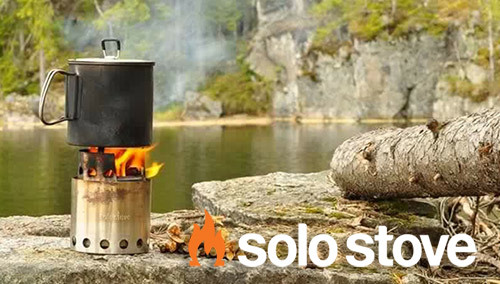 Solo Stove is essentially a lightweight, portable campfire that is just perfect for your next outdoor adventure. 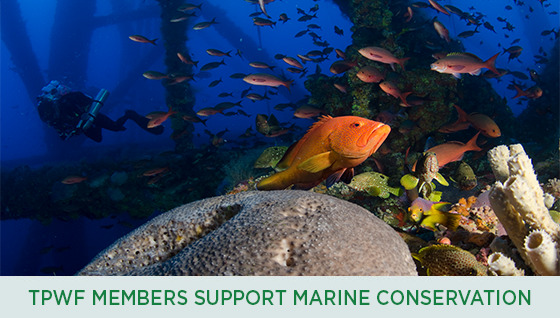 Join now and help support conservation projects that are important to you. *The price of membership pays for TPWF membership only and not for the chance to win the Solo Stove. Members who join by July 31 are automatically entered in the drawing. 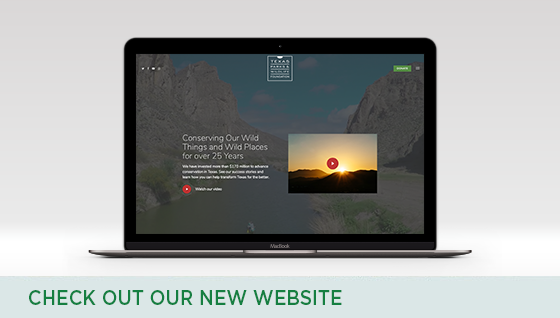 Texas Parks and Wildlife Foundation has launched a new website! Every month, more than 12,000 people explore our website to find out more about the work we do. Now that we’ve re-vamped the site, it’s easier to navigate than ever.